offers you the complete package — we install premium-quality residential French Doors that give your home harsh weather protection, give you peace of mind and security against intruders, increase the beauty of your surroundings, trim your energy costs, and diminish outdoor ambient sound. Why buy anywhere else? Our Residential product line combines sophistication and performance to meet the needs of today's discriminating homeowner. 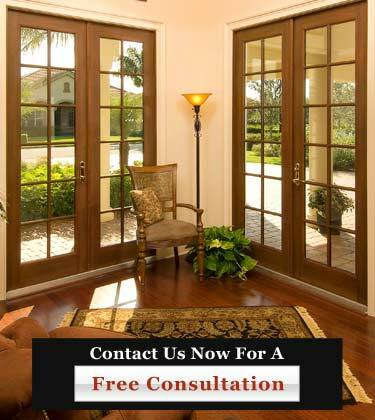 We are your one-stop-shop for the sales, service, and installation of premium quality Residential French Doors. Provide attractive and secure terrace access for single story, multistory, condominium, and custom homes. Some manufactures feature doors up to 10' tall. Some manufactures feature design pressures of +100/-120. Meet with ' own in-house design professionals for an in-depth consultation on your next Residential French Door project. Call us today at (954) 714-6800 or contact us online now!